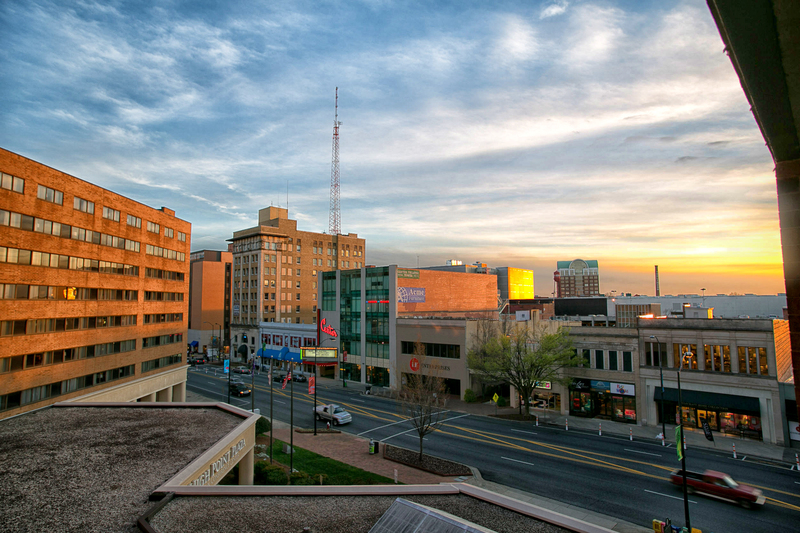 Downtown High Point. The city of 110,000 attracts nearly 80,000 visitors at its furniture show, held twice a year. Downtown High Point, North Carolina. The city of 110,000 attracts nearly 80,000 visitors at its furniture show, which is held twice a year.